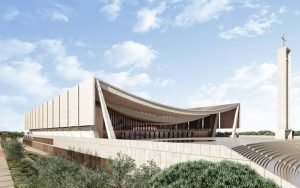 The Supreme Court has dismissed a suit challenging government’s decision to provide support for the construction of a national cathedral. The suit was filed by a member of the Convention People’s Party, CPP, Kwabena Bomfeh, popularly known as Kabila. The post Supreme Court throws out Bonfeh’s case against national cathedral appeared first on Citi Newsroom.